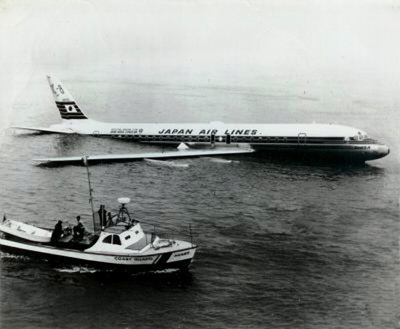 In November 1968, a JAL DC-8 missed the runway by two miles and landed in San Francisco Bay, but all survived and there were no injuries. Sound familiar? The NTSF accident report is online. The water was shallow and landing gear kept most of the plane above the Bay. United was able to revive the plane at their SFO repair facility and billed JAL $4 million (about $25 million in today’s dollars) who flew it for another 14 years. It then operated for airlines in the Caribbean and Nigeria, and finally Airborne Express which flew it until 2001. More history here, including pictures of it being torn into scrap. 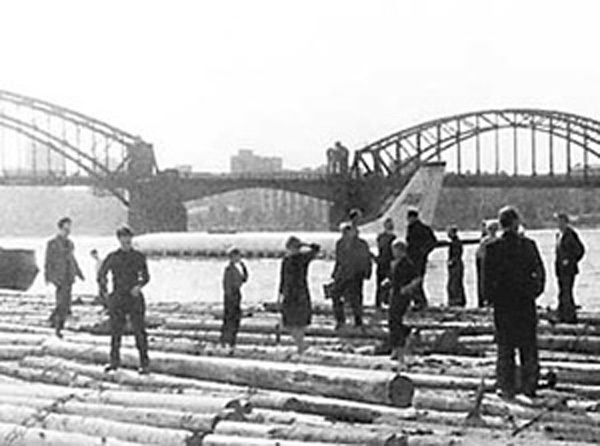 Most people have seen the footage of the hijacked flight landing in the water off the Comoros, but here’s one that I had never heard of before – in the USSR in 1963, an Aeroflot TU-124 ran out of fuel and landed in the river in St. Petersburg — everyone survived, only some injuries. p.s. It feels very weird typing “USSR” and “Soviet”. demoted to First Officer and retired as such. Mr.Hazen,Could you please contact me.I am the son of Richard Fahning your flight engineer on that eventful flight. 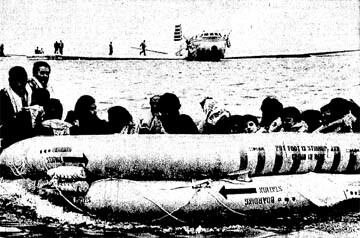 I went to school in Menlo Park from 1968-1970 and remember seeing that plane right off Hwy 101 for a week/2. I’m happy that was just a rumor about the pilot.